My friends and I exchanged BFFBoxes this week and I got an awesome box from my friend Erin! 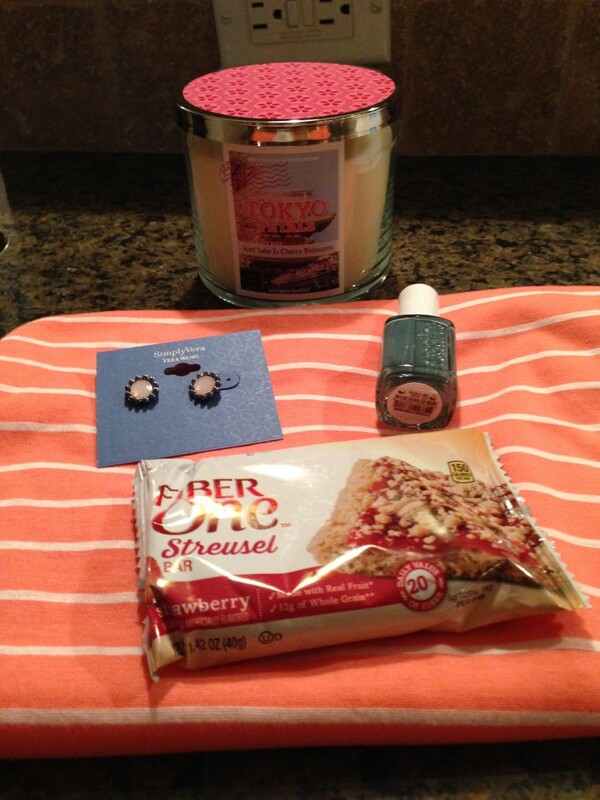 A new candle, earrings, an infinity scarf, Essie nail polish, and a delicious treat! Bath and Body Works is having an awesome sale right now and their 3-wick candles are 2 for $22 (regularly $22.50 each)! You can also get a $10 off $30 when you use the code SUNNY30 so if you buy 3 candles, you are basically getting three for the price of one! 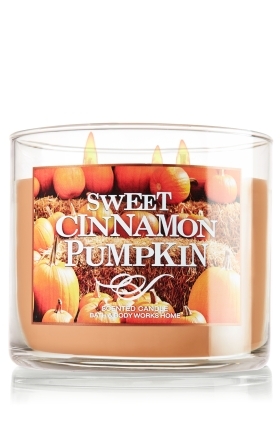 Some of my favorite fall scents are Sweet Cinnamon Pumpkin, Pumpkin Apple, and Leaves. 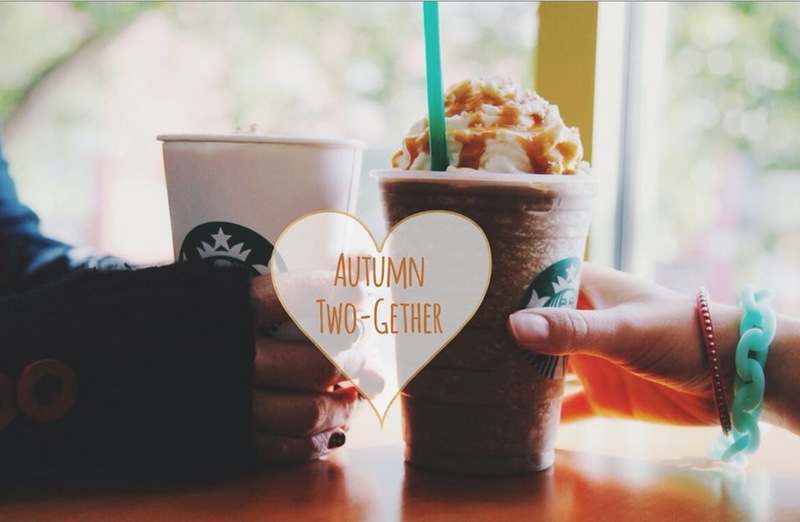 Starbucks is also having a great promotion this week – Buy One, Get One free fall beverages from 2-6 PM 9/17 – 9/21. The drinks include Pumpkin Spice, Salted Caramel Mocha, and Oprah Chai Tea. Speaking of Stabucks, have you tried any of their snack boxes? I picked up their Protein box one day this week for part of my lunch/afternoon snack and it was really good! Good to know they have some healthy food options if you are on the go. 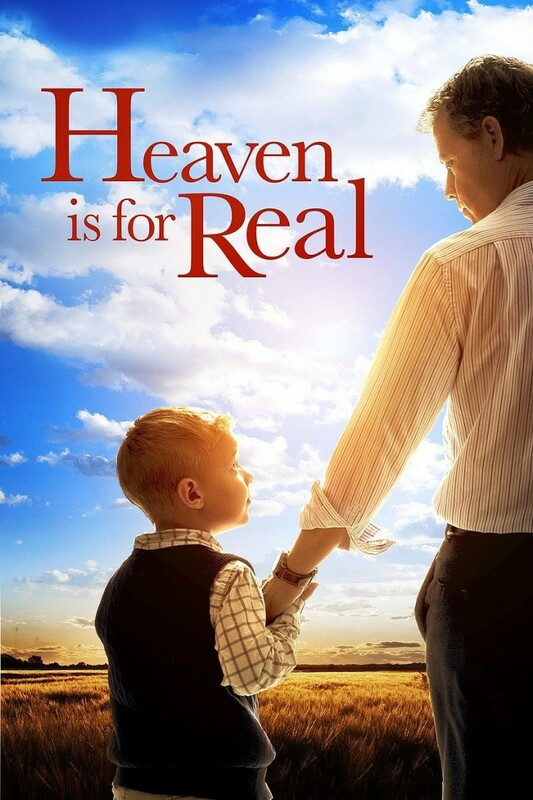 I watched the movie Heaven is for Real last night and thought it was ok. I haven’t read the book though. For those of you who have read the book/seen the movie, what are your thoughts? Linking up with Lauren, Karli, and Amy. 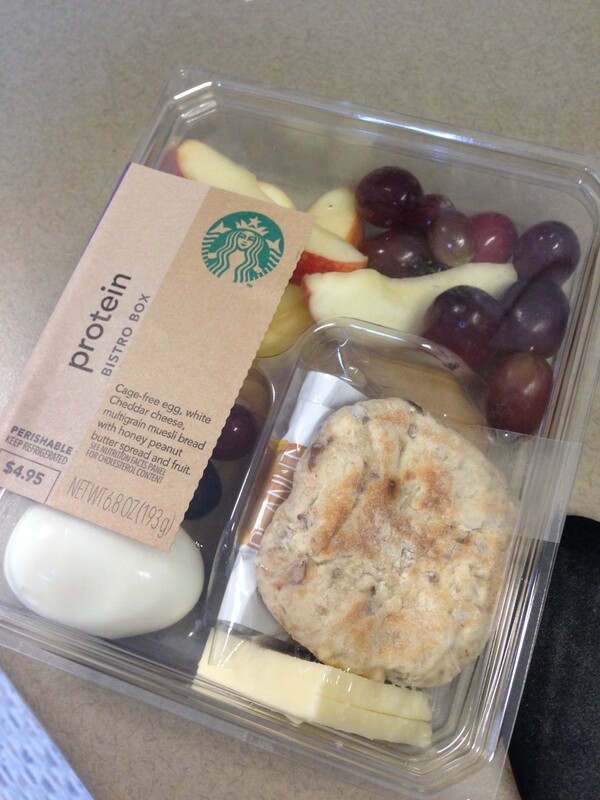 We literally had nothing in the fridge this morning to take for lunch so that Starbucks bistro box could be the perfect thing for me to try today! Thanks for the tip! Enjoy your weekend! I’m slightly obsessed with those Fiber One bars. Such a good snack/breakfast!